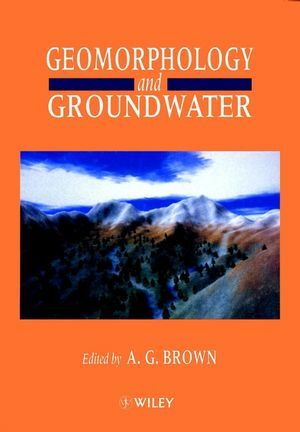 Geomorphology and Groundwater is an up-to-the-minute collection dealing with the overlap between geomorphology and hydrogeology. These two disciplines have much to offer each other in several fields such as river groundwater interactions, the location and evolution of aquifers, karst and landform evolution. There is increasing realisation that groundwater plays an important role in many geomorphological processes and of the utility of geomorphological techniques and ideas in the analysis of groundwater systems. The authors contributing to this volume are drawn from a wide variety of backgrounds and include research geomorphologists, engineers and consulting hydrogeologists. Much of the work reported here applies to or has immediate applications to such environmental problems as arid-zone water supply, groundwater pollution, wetland conservation, fisheries management and landscape protection. 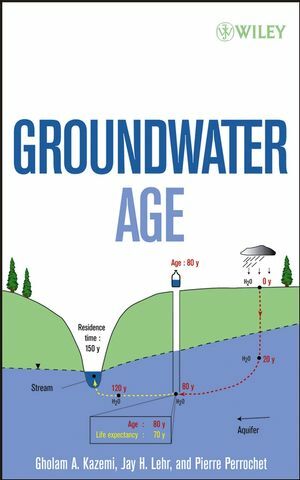 As such this book will be of value not only to researchers in the respective fields, but to all those interested in groundwater-related environmental issues. A. G. Brown is the author of Geomorphology and Groundwater, published by Wiley. Geomorphology and Groundwater: Convergence and Diversification (A.Brown & C. Bradley). Groundwater Flow and Quality in an Alluvial Aquifer Recharged fromRiver Bank Infiltration, Torgau Basin, Germany (T. Grischek, etal.). Shallow Groundwater Modelling and the Overbank Contribution to aSmall Floodplain Bog (C. Bradley & A. Brown). Assessing River-Aquifer Interactions Within the Hyporheic Zone (I.Maddock, et al.). Landform-Groundwater Interactions in the Gwenlais Karst, SouthWales (P. Hardwick & J. Gunn). The Origin and Age of Karstic Depressions in the Darwin-KoolpinyahArea of the Northern Territory of Australia (M. McFarlane, etal.). Karst and Pseudokarst: An Artificial Distinction? (P. Younger & J. Stunell). Bils and the Barind Aquifer, Bangladesh (K. Ahmed & W.Burgess). Groundwater Recharge and Outflow Patterns in a Dunefield of NorthEast Nigeria (R. Carter). Hydrogeological Provinces in Central Sudan: Morphostructural andHydrogeomorphological Controls (J. Burke).